Yielding to someone, even to God is difficult, because we have our sinful flesh that is always telling us to give in to no one except our own desires. But with God’s help in understanding it is easier. Here are three points of understanding that may help. I think the first thing that needs to happen in order to know how to yield to God is to gain an understanding that God is God. He is our creator. He owns everything, including you. And He rules over everything, including you. He is Lord of all, whether we like it or not, or whether we believe it or not. 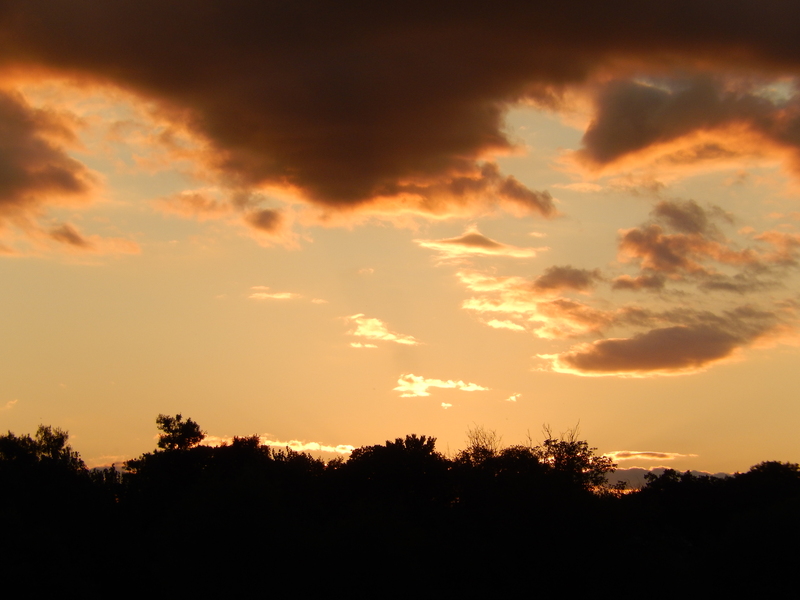 Thus He requires us to surrender to Him as Lord just as all of nature does. And if we don’t, we are guilty of sin and rebellion. This may seem terribly cold and harsh; but we must remember also that God is love—pure love. He can do no wrong. He loves you with a pure and infinite love. But His love won’t come to us unless we receive Him and obey Him as Lord. And the more we surrender to Him the more we will feel and experience His love and care for us. And that is the nature of love—the recipient will experience it only when he receives the lover for who he really is. In other words, if one loves us and we reject that person, we cannot receive their love as they meant to give it. Accordingly, since God is Lord we can’t really experience His love unless we receive Him as our Lord. But when you do receive Him as Lord there is no end to the way God will bless you. And one of the things He will do for you is to help you know how to yield to Him. He will work in you and give you both the desire and the power to yield to Him in obedience (Phil. 2:13). All Christians have a Christ-like nature, but they also have an unredeemed body that continues to sin. Before I became a Christian my sinful nature (or the old self) ruled over me and made me its slave (Rom. 3:9-18; 6:6). And my slavery to sin was all I knew. The moment I asked Christ into my life, to be the Lord of my life, I died to sin and was resurrected with Christ (Rom. 6:2-5). When I died to sin, what that means is that I died to the reign and rule of sin in my life (because Christ began reigning and ruling in me). It also means that my old sinful nature (my old way of doing things, or my old character) died. When I was resurrected with Christ, God gave me a new life and a new nature. This new life and nature that I have is the very life and nature of Christ; it is a nature that wants to please God all the time, and likewise, has as its goal to destroy the sinful desires that still dwell in my flesh (Rom. 6:6, 8:13, Gal. 1:4). Now, since Christ reigns in me, the sin that resides in my body has no real power; that is, it cannot in itself control me and make me its slave. God, however, has given me free choice, and so I can choose to yield either to the sinful desires in my flesh and become its slave, or to obey God and the new nature, and become a slave of righteousness (Rom. 6:16). Hence, there are two forces at war in me: the old desires of the flesh (that are always trying to get me to sin), and the new Christ-like nature (which, in contrast, works to usher me into a life of righteousness). Since I have the Holy Spirit in me I have the power to choose which path I will yield to. Accordingly, when we follow our sinful desires, our life will produce these evil results: sexual immorality, impurity and unbridled lust; idolatry and witchcraft; hatred; discord, jealousy, fits of rage, self-ambition, dissension, factions and envy; drunkenness, orgies, and the like (Gal. 5:19-21). Conversely, when we follow our Christ-like nature, which is also the nature of the Holy Spirit, we will produce these fruits of the Spirit: love, joy, peace, patience, kindness, goodness, faithfulness, gentleness and self-control (Gal. 5:22-23). The conquering of sinful desires begins with our reckoning. Romans 6:11 says, “…reckon yourselves to be dead indeed to sin, but alive to God in Christ Jesus our Lord.” In my words, we are to know and to think upon the fact that sin doesn’t rule over us anymore, Christ does. Hence, we are to reckon (to know and to think about the fact) that we have a new nature and that we have power over our sinful desires—power to choose righteousness. This reckoning, we could say, is our act of faith in what God has already done for us on the cross in putting to death the old sinful nature (the old value system and beliefs, Rom. 6:2; 2 Cor. 5:17). I would say that reckoning is a process of thinking things through until we realize the true facts—mainly that sin is not my master, Jesus is. And that compels me to yield myself to Him as Lord. And the way we do that is by an act of commitment, committing ourselves to His Lordship and committing ourselves to reject any sinful desires that remain in our unredeemed bodies. And then we must follow up on our commitment by feeding our new nature and by starving (hence, by putting to death) the sinful flesh. We feed the new nature by meditating on the Word, and by prayer and fellowship, etc. ; and we starve the sinful flesh by giving it no opportunity to grow (Gal. 5:13, Rom. 13:14), that is, by not going to any sinful place, by not looking at sinful things, hence, by not thinking sinful thoughts. All the while we must pray and keep in fellowship because we can’t do it alone. We need help from above and from the encouragement of other caring believers. This entry was posted in Prayer A to Z Excerpts, Yielding in Prayer and tagged die to sin, Lordship of Christ, new nature, old self, Romans 6, sinful desires, sinful flesh, Sinful nature, Surrender to God, yielding to God. Bookmark the permalink. Very encouraging! And that’s true! I like the last part:Starving the sinful flesh by:not going to any sinful place, not looking at sinful things and not thinking sinful thoughts. We need to partner with the Holy Spirit to overcome sin, but we really must to do our part. God bless! It helps also to be always meditating on the word, to keep His words in our thoughts, God bless you. I really found what I was looking for and by God’s grace I have understood how I can yield my life to God. If there is any way I can get more of these to help me grow more in the knowledge of God, I will really appreciate it. Thanks and God bless you. 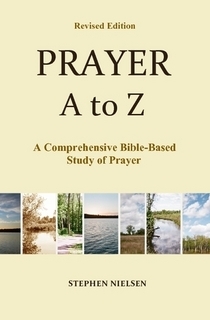 You can get my book Prayer A to Z.